The DDPI is a training institute whose purpose is to provide training, certification, and supervision in Dyadic Developmental Psychotherapy and Practice. The Dyadic Developmental Psychotherapy Institute (DDPI) and its overseeing body, the DDPI Board of Directors, were established in 2009. DDPI is a not-for-profit organisation and is based in the USA. DDPI aims to educate, facilitate, promote and advance Dyadic Developmental Psychotherapy and Dyadic Developmental Practice. The DDPI provides a robust certification of this internationally. DDPI provides a certification process for practitioners and therapists who are using the DDP model of intervention. Certified Practitioners in DDP have demonstrated their knowledge and competence in using the model’s core principles in their practice. DDP’s theoretical and clinical framework is now well established. However, DDPI recognises the need for more research to increase the evidence base. Current information can be found in research, evidence base and outcomes. DDPI also works to make sure that those practicing DDP remain faithful to its core principles and practices. If you are not sure whether someone is recognised by DDPI you can search for their name in Find a Practitioner, Consultant or Trainer . Only individuals that are currently certified, or in process of certification, using the DDPI recognised certification process, are included in this website. 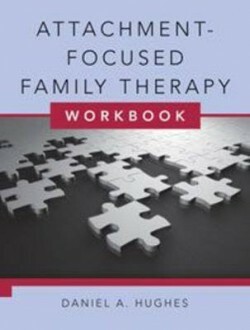 The DDPI Board has developed training protocols and the required manual for the Core Training in DDP is the Attachment Focused Family Therapy Workbook, Daniel Hughes (2011).